Could a chair be round? And not having a single leg and still move? Can the same chair be used to think, imagine and rest? Yes. We believe that whenever you are quietly thinking, your mind is doing wonderful things. Let your ideas evolve in the “Berço”. Whether you see it as a smile shape chair, a fun chaise longue or a rocking cradle without legs. To us, it’s a place to rest, think and do. 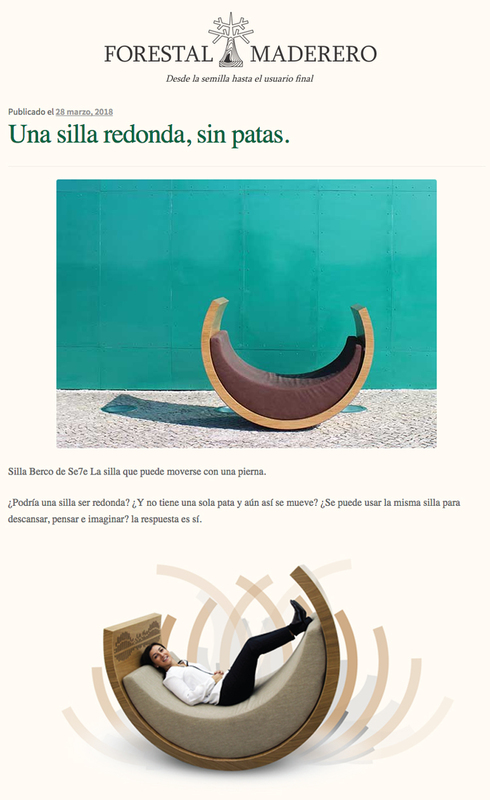 With a name that literally means baby cradle in portuguese, the “Berço” is a solid rocking chair where children and grownups can enjoy while thinking or resting. The ”Berço” is not for everyone, it’s for you. We don’t believe in mass production but in special crafting. Every piece is created for a customer and numbered with a serial number and the production year. It is handmade and personalized from structure to cushion and fabric to suit your own style. Click bellow to rock your customization. 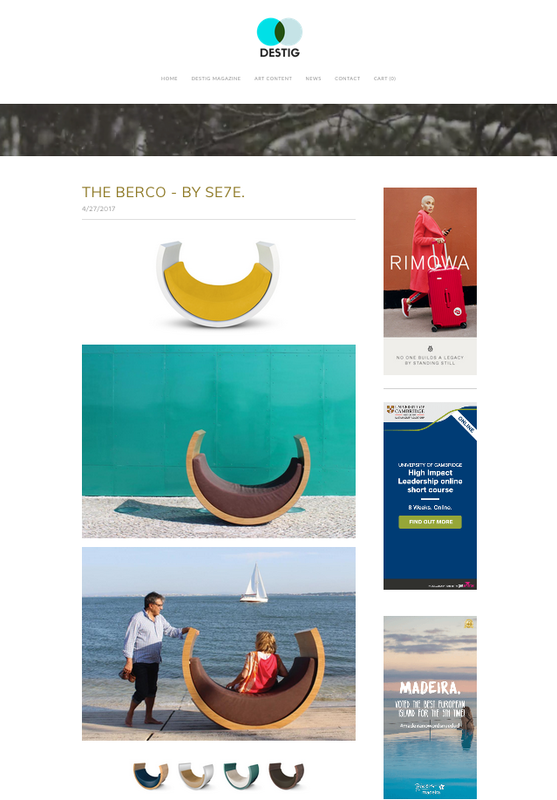 The "Berço" travelled to North Carolina, and featured in High Point Market 2018. For the second time in this event, the "Berço" rocked High Point and took care of the fun times at this event!! Se7e Life Design always surprises at 100% Design. After last year's presentation of new products, we rocked your mind with the new version of the "Berço" and a new generation of new products that combines design and technology. 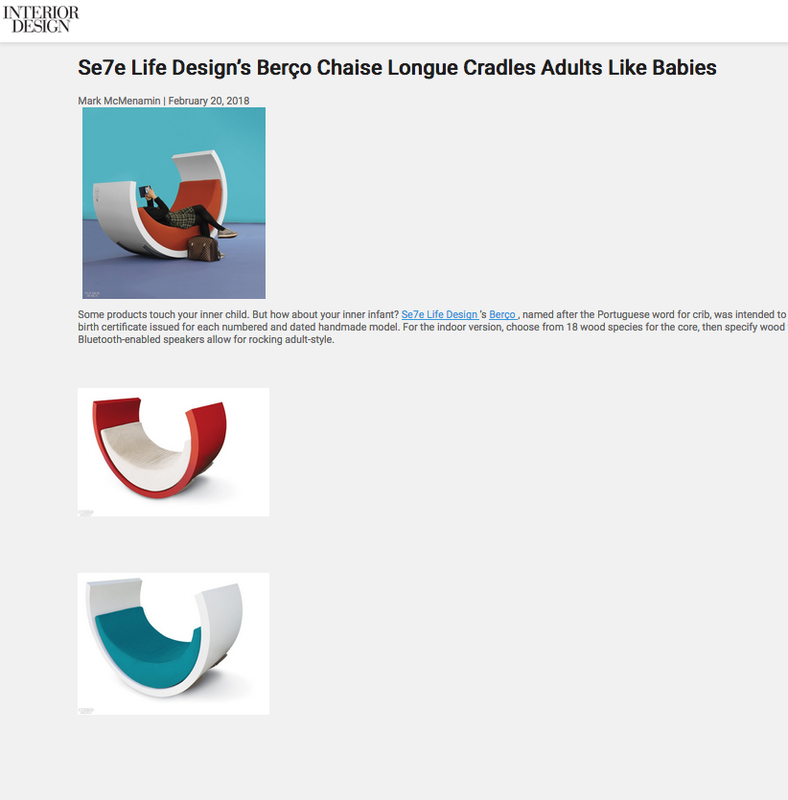 Se7e Life Design presenting exciting new products, including a technological boost on the "Berço" at DECOREX london, where we were for the first time! Se7e Life Design is ready to impress the East!! We will be in Kazbuild, Kazakistan for the first time. 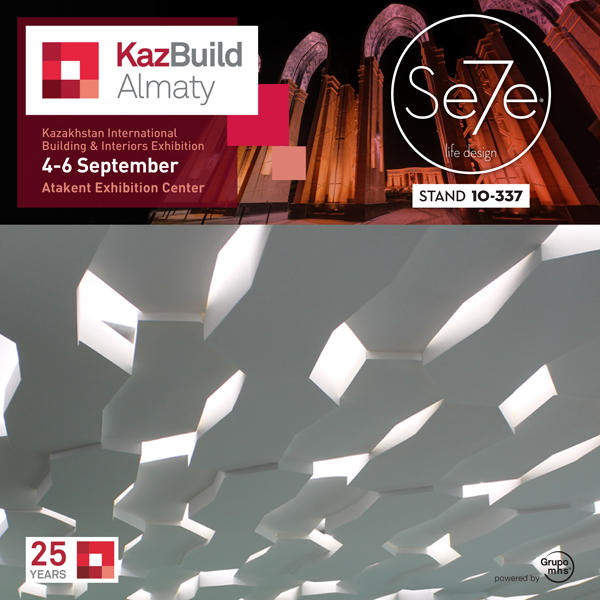 KazBuild Almaty is Central Asia's largest building and interiors exhibition, browse products and companies that will exhibit this year. Visit us at Stand 10-337 and check our latest products. Se7e spent a wonderful time in Shanghai with Associative Design. Between pictures, conversations, and smiles, the "Berço” will never stop rocking and conquer hearts. 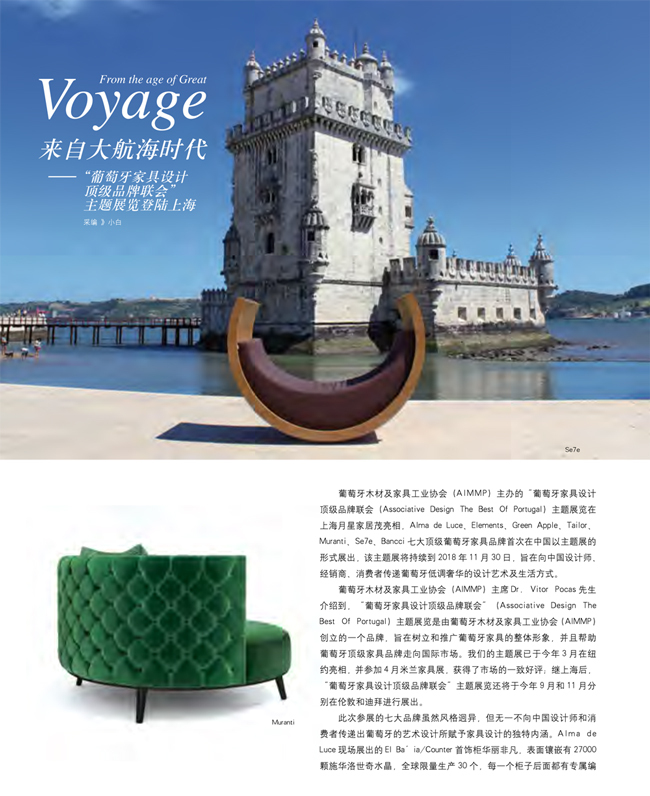 Until the end of November, you can find the "Berço” at the Yuexing Furniture Mall (4th floor’, N. D069) and order yours! Don’t lose this relaxing and fun experience! Se7e Life Design will be an official partner of FAILBIG Summit. The “Berço” will be hosting live entrepreneur experiences and inspiring people not to be afraid to fail. FailBig Summit is the biggest conference about failure in the world… (we are building it, one failure at the time). We are proud to talk about failure and to show how people all over the world recognise that it’s the times that one fails that builds the winner. We were present at the publication's launch "The Pursuit of Excellence" of Rolls-Royce Motor Cars Enthusiasts’ Club. Se7e life design is one of the high-end Brands invited to the launch event and to be present in the book. "The Pursuit of Excellence" is a beautifully designed, 432-page hardback spotlights Rolls-Royce Motor Cars past and present, and delves into the stories and personalities that make the marque “the best car in the world”. To resonate with the book’s theme of luxury a carefully curated selection of high-end brands are also present, enabling guests to immerse themselves in a world of luxurious tastes, products and experiences. 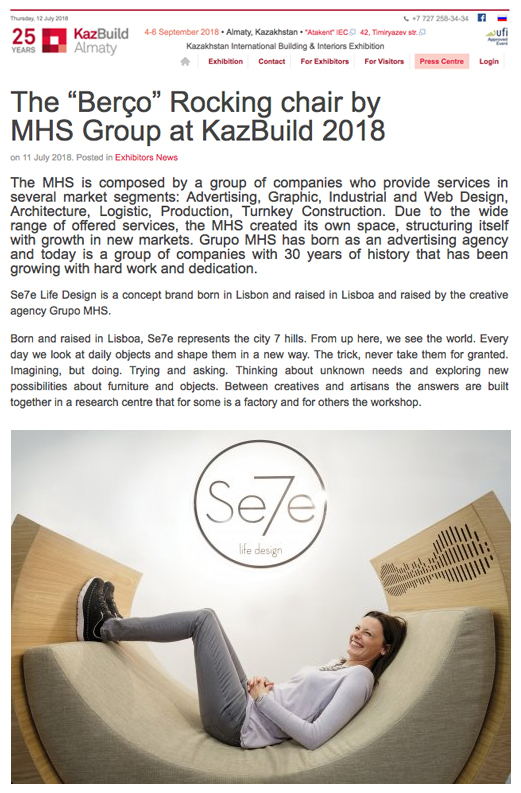 Se7e life design premiered in Ecobuild 2018! We took all the inspiration of intelligent and technologic objects such as the “Nuvem”, the “Berço” and the “Varios” to the world’s biggest trade event for sustainable design, construction and the built environment and the UK’s largest construction event of any kind. It is the future of design, construction and the built environment - The latest developments, new product launches and the people who matter. Sign up with your email address. We always have great news and updates for you! You wont get bored.